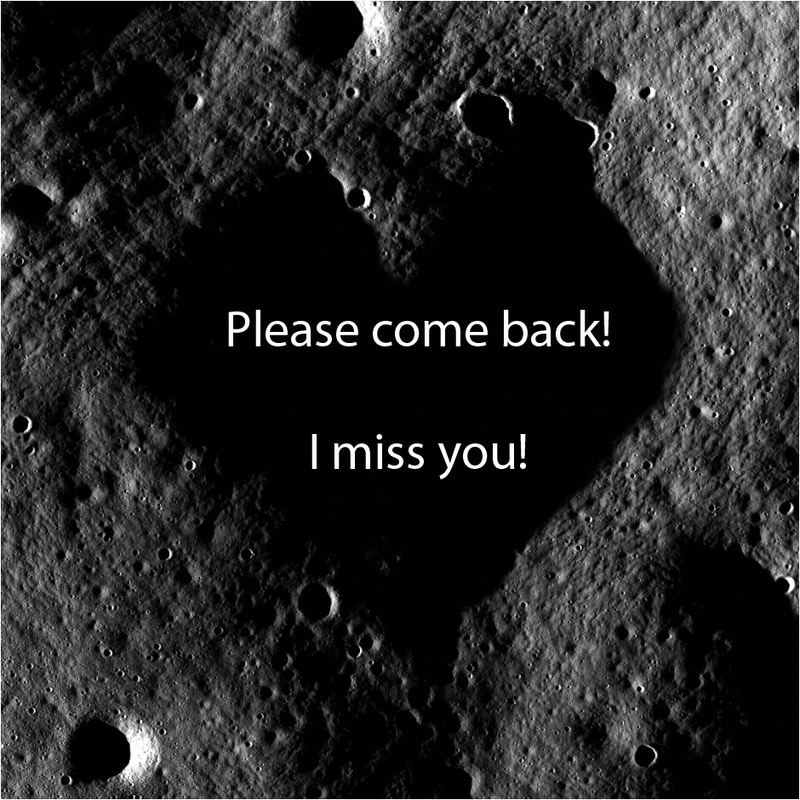 A Valentine from the Moon [Arizona State University]. The Chang'e 4 rover is now visible to LROC! Just beyond the tip of the right arrow is the rover and the lander is to the right of the tip of the left arrow. The image appears blocky because it is enlarged 4x to make it easier to see the two vehicles. North is to the upper right, LROC NAC M1303570617LR [NASA/GSFC/Arizona State University]. 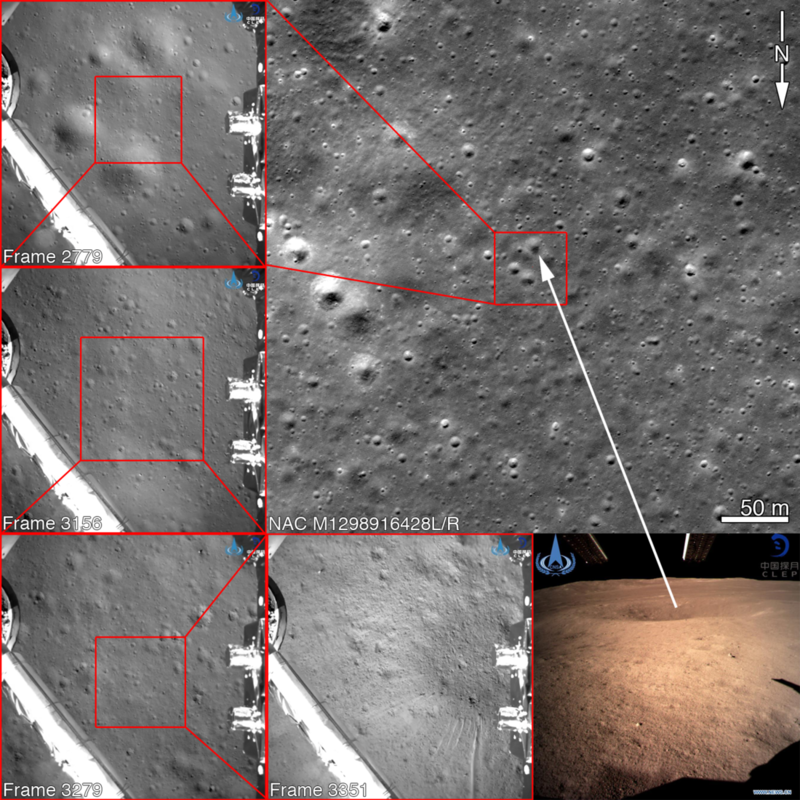 Arrows indicate position of Chang'e 4 lander on the floor of Von Kármán crater. The sharp crater behind and to the left of the landing site is 3900 meters across (12,800 feet) and 600 meters (1970 feet) deep. Image was shrunk by more than a factor of ten (full resolution available inside the post). LROC NAC M1303521387LR [NASA/GSFC/Arizona State University]. 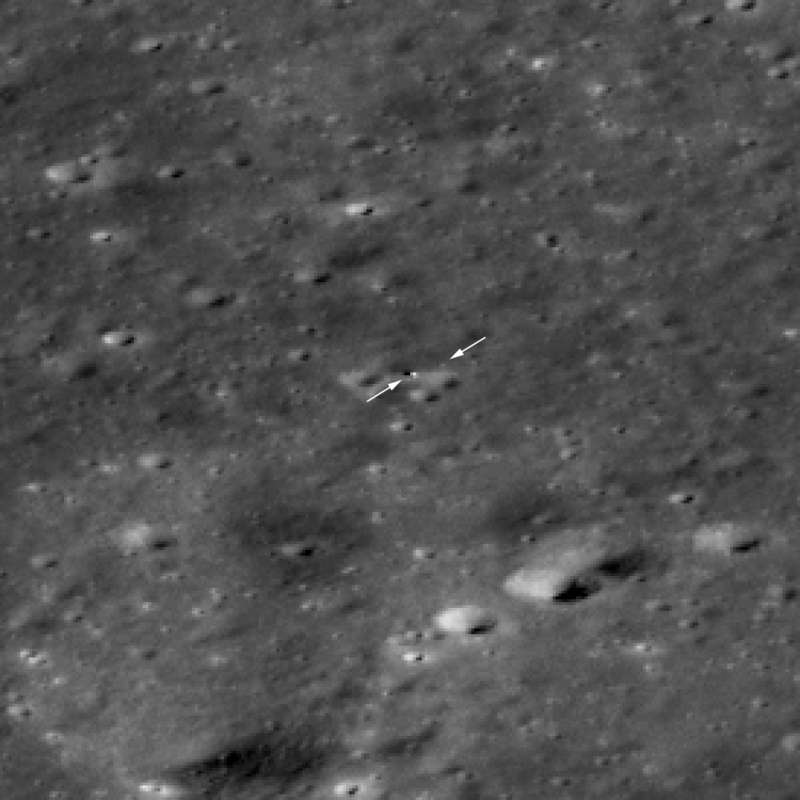 Following the Chang'e 4 descent frames (CNSA/CLEP) to the surface makes it easy to find the exact landing spot in a NAC image, which was taken before the landing. Note that the NAC image is rotated so north is down to match the Chang'e 4 frames. NAC M1298916428LR [NASA/GSFC/Arizona State University]. 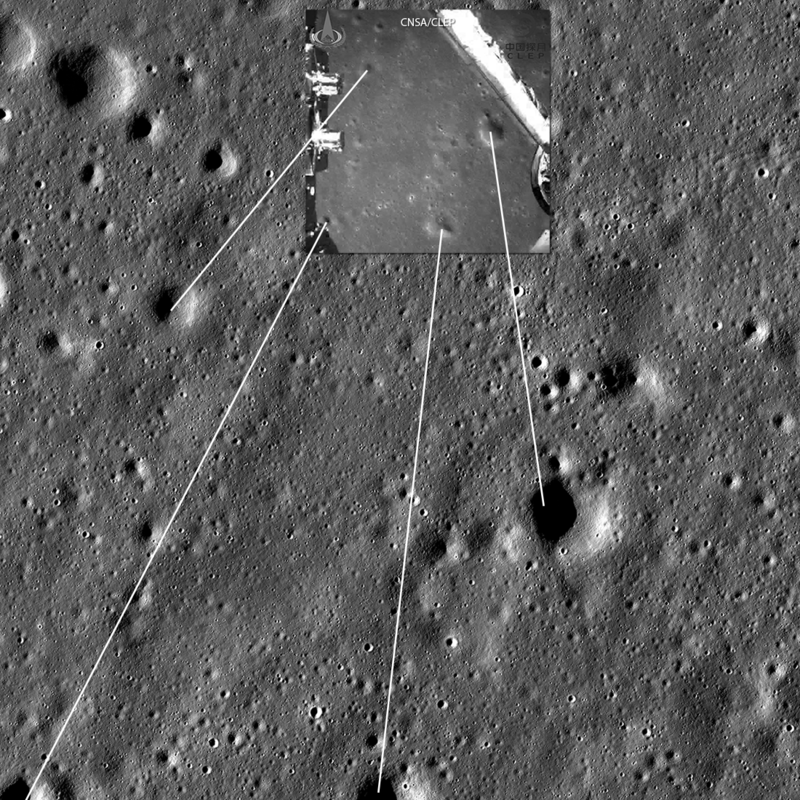 Safe on the farside, Chang'e 4 set down somewhere in this LROC image obtained 17 July 2010. 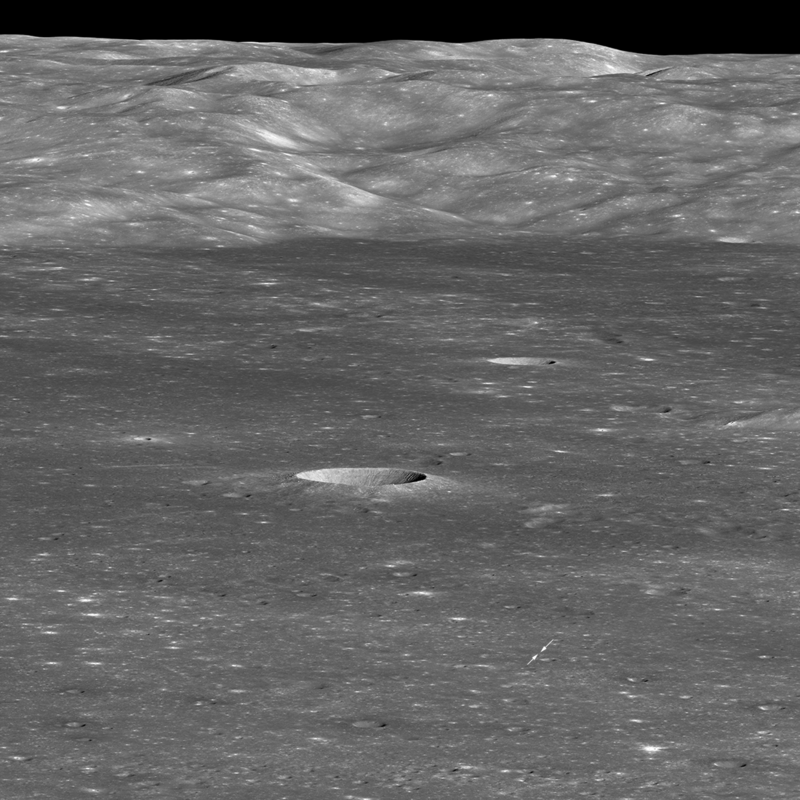 The lines connect craters seen in the Chang'e 4 descent image (CNSA/CLEP) with the same craters seen in the LROC image. Image width 2700 meters, NAC M134022629LR [NASA/GSFC/Arizona State University]. 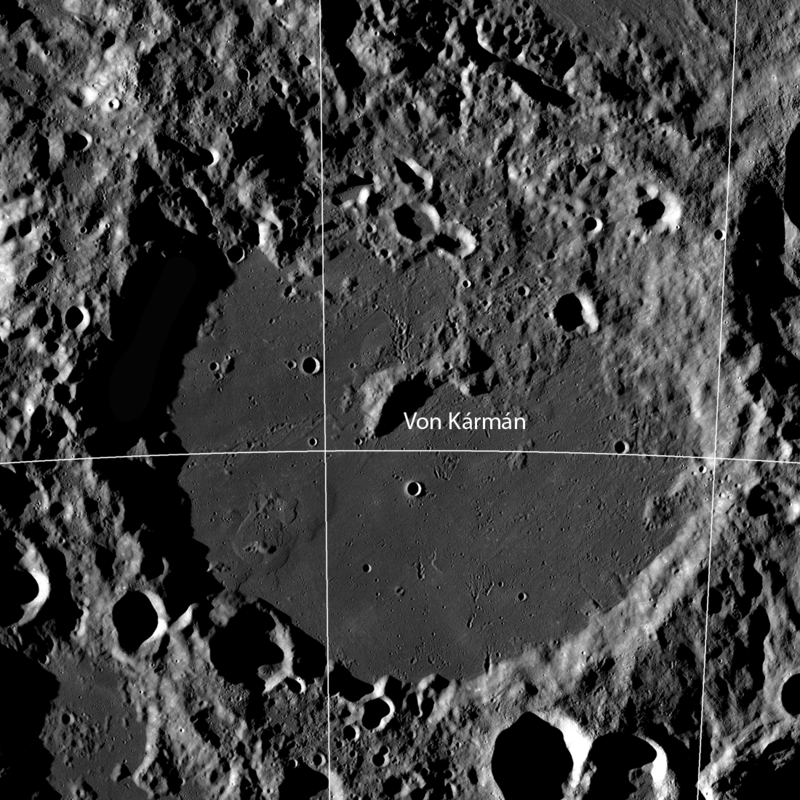 Von Kármán crater (186 kilometer diameter), a treasure house of geologic landforms! LROC Wide Angle Camera mosaic, five degree latitude and longitude grid [NASA/GSFC/Arizona State University]. 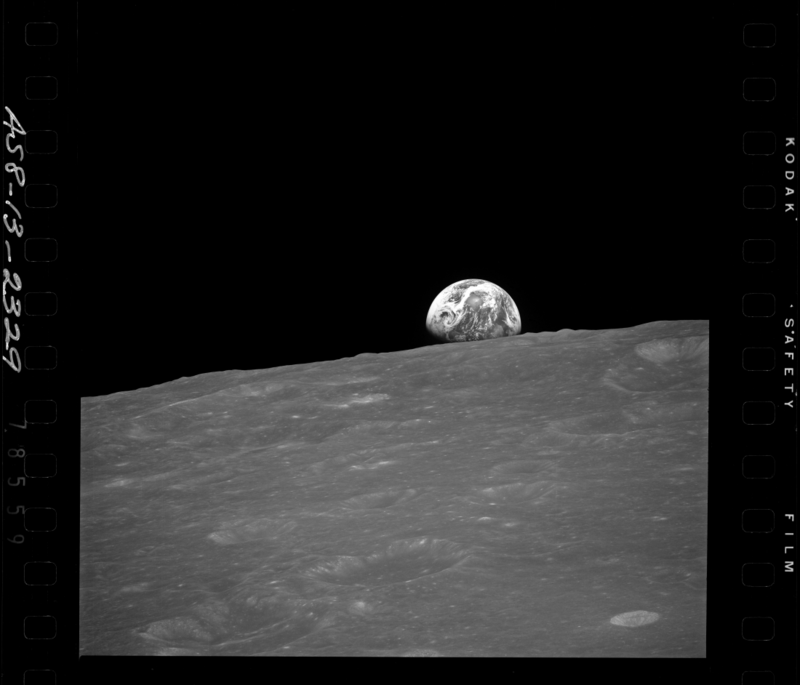 First photograph (BW) taken of the famous Apollo 8 Earthrise sequence, the following images were acquired with color film [AS08-13-2329, NASA]. Mount Marilyn, with its distinctive triangular shape, served as an important navigation landmark for the Apollo 11 astronauts. 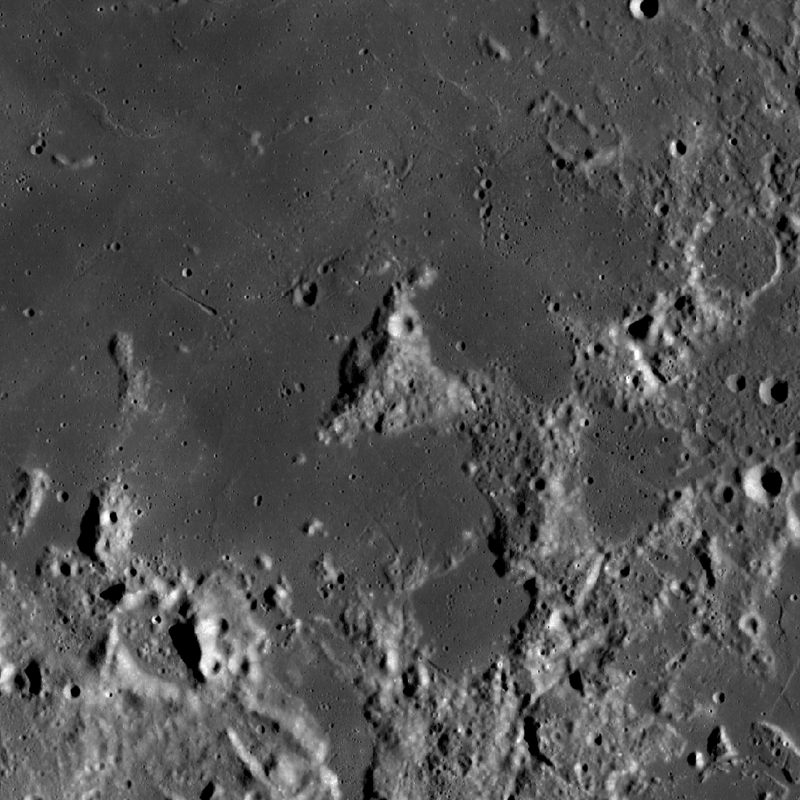 Portion of LROC Wide Angle Camera mosaic, 138 km wide [NASA/GSFC/Arizona State University].